The manatee that we've named Ilya has finally returned to Florida, where she will have a new home, at least temporarily, at the Miami Seaquarium. Although feared lost to hypothermia following two storms, Ilya turned up off the coast of New Jersey. She was then airlifted to Miami aboard a Coast Guard C-130. Read the story from the Associated Press...Here. Or, read about Ilya in the Boston Examiner. The fall colors have finally arrived. The fact that we get the colors later than most of New England is a product of our location, surrounded by warm (relatively) water. 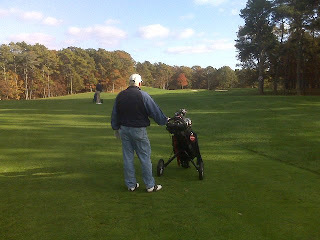 I went out golfing yesterday at Cranberry Valley Golf Course in Harwich and snapped the photo below. This time of year is great for a round of golf, with cheaper rates, fewer golfers, cooler weather (mid-50s), and the fall colors. I found an article on CNBC.com that pretty well summarizes what a home seller needs to do to make their property the most attractive property that a buyer sees in their 'hunt' for the perfect home. These rules apply for homes of all shapes, sizes, and locales. Of note - I believe that the extreme 'seasonality' of the Outer Cape changes the discussion about a home's stale-ness factor discussed in the article. Here, except in extreme cases, the days-on-market often reflects the season the house entered the market, whether its been a rental property, etc. Read the article ... Here. The same folks who brought us Cash-for-Clunkers are currently debating the inevitable extension of the First Time Home Buyer's Credit. As part of the extension they have come up with a $6,500 tax credit for Move-up buyers. A Move-up buyer is someone who currently owns a primary home, has lived in it for 5 of the prior 8 years, and who wants to buy a new home. They must live in the 'new' home for a minimum of 3 years or the tax credit will need to be paid back. This program, as well as the extension, is still being debated in Congress. Stay tuned! For an update on the tax credit extension and a few more details on the Move-up buyer's incentive, go to the CNBC story...Here. 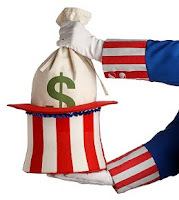 Home Energy Tax Credits: It Is Not Too Late! Thinking of remodeling your home or upgrading your heating and cooling equipment? You may be eligible for a federal tax credit to help reduce the cost! Homeowners can receive a tax credit for making energy-efficient home improvements or for installing high-efficiency heating and cooling or water-heating systems. The incentive is equal to 30% of the cost of materials or installation for projects—subject to an overall cap of $1,500. What Types of Improvements Are Eligible? A variety of energy-efficient building products and equipment are eligible for the tax credit, including: windows and doors, insulation, metal and asphalt roofs, heating and cooling, water heating, and biomass stoves. Go to the National Grid website to read the complete article. A lot can be said about declaring bankruptcy, mostly bad. SmartMoney magazine ran an article that answers a multitude of questions about the process and the consequences of bankruptcy. Read about bankruptcy...Here. 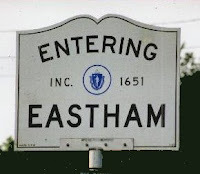 The 2010 real estate tax rate for Eastham is $5.51/thousand. 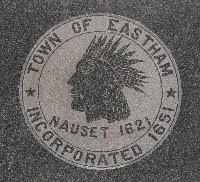 Check your 2010 assessment on the Town of Eastham website...Here. The constant temperature and 'infinite' heat of subsurface earth makes geothermal heat pump technology an ideal solution for heating and cooling your Cape home. It's a technology that has had only a few 'takers', but I believe that we'll see more and more homes equipped with geothermal heat pumps. The claimis possible savings of up to 80%. Additionally, there is, currently, a 30% federal tax credit for these systems. ClimateMaster, one of several geothermal heat pump manufacturers, has a fairly educational website with technology tutorials and tax credit information. Here's a surprise. Orbitz, one of the large on-line travel firms, has a website, www.Away.com that reviews travel destinations, hotels, restaurants, etc. The surprise is that Wellfleet turned up on the "Top 10" list for worldwide best "Foodie" destinations. The list cites that world-famous Wellfleet oyster as the primary attraction. Read the article...Here. Other locations on the list? A few are Fes (Morocco), South West London, Buenos Aires, Carmel (California), and Bangkok. Interesting list. The shipwreck that first was seen on Newcomb Hollow Beach, in Wellfleet, seems to have reappeared. As the sand comes and goes it seems to have washed up a small portion of the large keel section that we saw in January and February of 2008. Check out a few photos from last year on my website, at http://shipwreck.robertsheldon.com/. The video below, from the Cape Cod Times. shows how it looks today. The Eastham Rotary - What's Inside? This is one of those questions that never occurred to me. Why would it? Every year we dutifully bought a mid-sized pumpkin and cut it up to look like some scary thing, put a candle in it, and set it out for the trick-or-treaters. Lots of fun. In recent years we've either used a porcelain pumpkin, with an electric candle, or we've used a magic marker to draw faces on the pumpkins. The latter method preserves the pumpkin for later use as a pie. (better!). Anyway, I found the origin of this annual Halloween ritual. Take a look! My November 2009 Newsletter Is Available Now! In a pilot project, new sonar equipment will map the coastal areas of Cape Cod Bay. An article in the Cape Codder described how technical problems have long prevented accurate mapping of the more shallow areas of Cape Cod Bay. 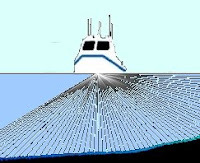 But a new sonar technology solves the previous shortcomings. Read the article ..Here. The Captain's Quarters Motel, on Route 6 in Eastham, is scheduled to be sold at auction on November 30th. The motel has 75 rooms, a conference center, tennis courts, and a heated outside pool, all on 5.36 acres. There are a number of possible uses of this property. It could possibly be turned into up to 40 condo units. This is an 'absolute' auction which means that all bids are valid and the highest bidder, at any price, will be the 'winner'. There are lots of 'details', so go to the press release for more information and to the auctioneer's website and read the fine print. Owners of summer homes need to prepare their homes for the colder weather. The worst case scenario is a pipe burst that allows water to flood the inside of the home. Water can run for days and weeks undetected. We see a few of these ugly situations every year. The damage can run into the hundreds of thousands of dollars. There are a number of must-do items as well as a few 'best practices' for winterization. The Wellfleet Fire Department has prepared a checklist that could be very useful in preparing for winter. Check out the checklist...Here. 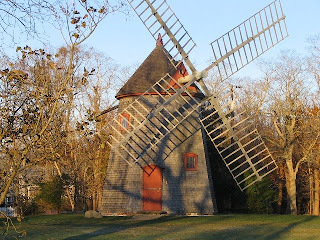 I live just a stone's throw from a treasure that is hidden in the woods on the east side of Great Pond, in Eastham. Wiley Park is the home of the 1651 Arboretum. 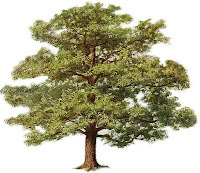 The 1651 Arboretum is intended to be a living monument to the arrival of the Pilgrims to Eastham’s shores and an interpretive educational exhibit illustrating the processes of natural succession and exemplifying the plant communities that were dominant on Cape Cod in the year 1651. There is a dedicated group of folks who research and execute plantings to that end. The Cape Codder ran an interesting article about the arboretum. Read it Here. Over the last few weeks we've been reading stories about a manatee that has been swimming in and around the Cape. We saw the manatee in Dennis & Rock Harbor. The problem with this 'cute' story is that similar stories seem to always end badly, with the warm water mammal succumbing to hypothermia as the water temperature drops well below what the animal needs to survive. Well, we may have seen the exception to the rule with a manatee that's been named Ilya. Ilya has been spotted traversing the Cape Cod Canal and swimming south. Catch the story from the Boston Globe. A few weeks ago I played the 9 hole Highland Links golf course. The Highland Links is one of those courses known as a "Links" course, which translates to very rough roughs, with long grasses, oft impenetrable out-of-bounds, and unpredictable wind gusts. One of the fairways, the 5th if I recall, stretches along the top of the bluff above the open Atlantic Ocean. 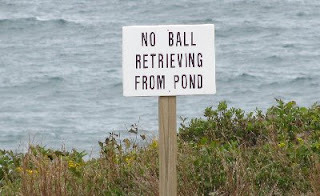 The out-of-bounds is about a 70 ft cliff, straight down to the ocean beach. Here is the sign that every golfer reads and needs to understand. One of the strangest structures on the Outer Cape is an empty 70 ft tower in Truro, known as the Jenny Lind Tower. Jenny Lind was an Swedish opera star from the mid-1800's who was brought to America by P.T. Barnum. Apparently she did a free concert from this tower (which was originally part of the Fitchburg train station in Boston) when the original venue was oversold. The tower sits on National Seashore property just south of the Highland Lighthouse. 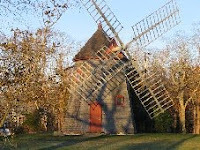 Read more about the Jenny Lind Tower on the Cape Codder website...Here. Question: I get your emails that post new listings and I'm a bit taken on how many Eastham houses continue to go on the market. Where's everyone going and why? First – the number of houses on the market isn’t, historically speaking, very high. We currently have only 110 active listings. A year ago we peaked at 119. We’ve had as many as 141, back in 2006. I haven’t seen a common theme in the Sellers. Many just feel its time to move South, where its warmer. Others feel that it’s time to cash out to pay for college. The most common story is the death of the owner, forcing the family to sell the home to settle the estate. I’m also seeing a fair number of totally unused (abandoned) homes that are being sold. I’ve had no buyers even hesitate about water issues or any local issues. Although we’ll certainly see increases in our taxes to pay for wherever the water issue takes us, Eastham taxes are significantly less than other places in New England. I believe that the average American family moves every 7 years or so. That seems excessive to me since I lived in my NY home for 29 years. Also, many of these moves are due to work transfers. That said, the Cape had a boom in the mid-to-late 1990’s that may be the statistical fact that says that we will see continuous turnover for the foreseeable future. As a Realtor, I’m OK with that. As you know from my newsletters, the current market is VERY slow. There were only 2 sales in Eastham in September, usually a BIG month. As things start moving again there will be more new listings. My next newsletter, due out in 2 weeks, will provide the details of September sales. Lastly: The biggest problem with real estate right now is economic uncertainty. Folks are simply saying that now isn’t the time to spend big money on a vacation property. Hopefully, the market will signal ‘all clear’ soon. Mortgage Underwater - Walk Away? What should you do if your mortgage is seriously underwater and you are having difficulty making the payments? One of the options is to simply walk away - giving the keys to the bank and letting the situation be resolved with a short sale or foreclosure. Another is to just tough it out and make the sacrifices necessary to continue making the payments. The banking website, BankRate.com, answered this question. Take a look! Get Ready for Fall's Colors! One of the recurring features of this time of year is the dramatic increase in the number of large tour buses bringing folks from far and wide, attracted by off-season rates and the fall colors. I've seen as many as 5 buses at the Eastham windmill. The full blaze of fall's colors are still a few weeks away. CapeCodOnline ran a story about the upcoming season of colors that should whet your appetite. Get ready!